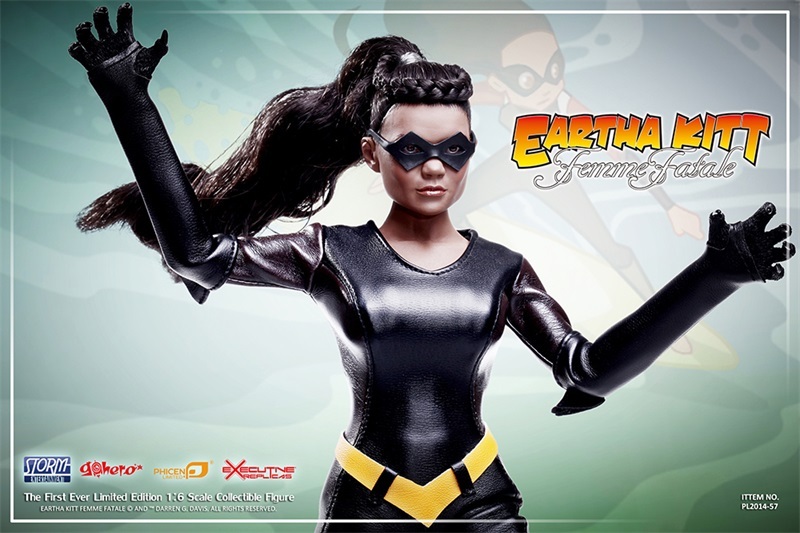 The toy company that ruled the toy isle in the late 70’s with their lines of 8″ Star Trek and DC superheroes action figures along with their iconic 12″ dolls of Farrah Fawcett and Cher is making their way back into Australian stores this year after almost four decades. Mego was one of the hottest toy companies way back when to the point that in 1976, their first release Cher doll became the highest selling doll that year beating out Mattel’s powerhouse Barbie, but all the glory came crashing down when the company passed on an offer to nab the licence to (a then unknown) Star Wars and followed that up with a shift towards electronic and robotic toys that saw the company sadly file for chapter 11 Bankruptcy in 1982. In the years between, prices for vintage Mego items have soared with collectors forking out huge bucks to fill in the gaps of their Mego collection. 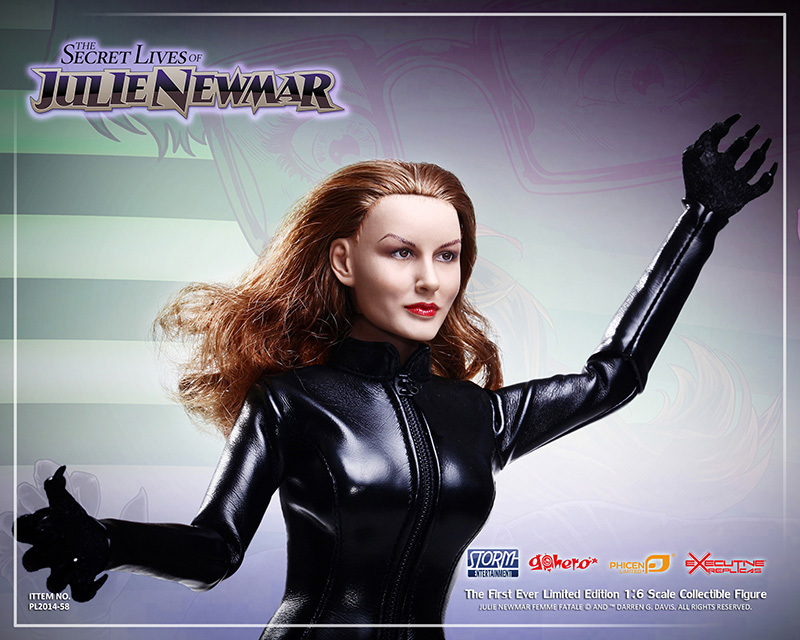 Vintage boxed dolls of Charlie’s Angels star Jaclyn Smith can rise as high as $400aud while those 8″ DC Heroes, in mint boxed condition, can see prices rise into the high thousands. But, jump forward to 2018 and Mego Corporation is alive and well with Marty Abrams back at the helm announcing an exclusive deal with Target US that would see Mego figures back on the shelves for the first time since the late 70’s with licences for classic pop culture favorites including an I Dream of Jeanie double pack, Charlie’s Angels, Charmed, Cheers, a Full House Stephanie and DJ Tanner double pack and various original series Star Trek characters along with releases of classic monsters such as Frankenstein and Dracula. 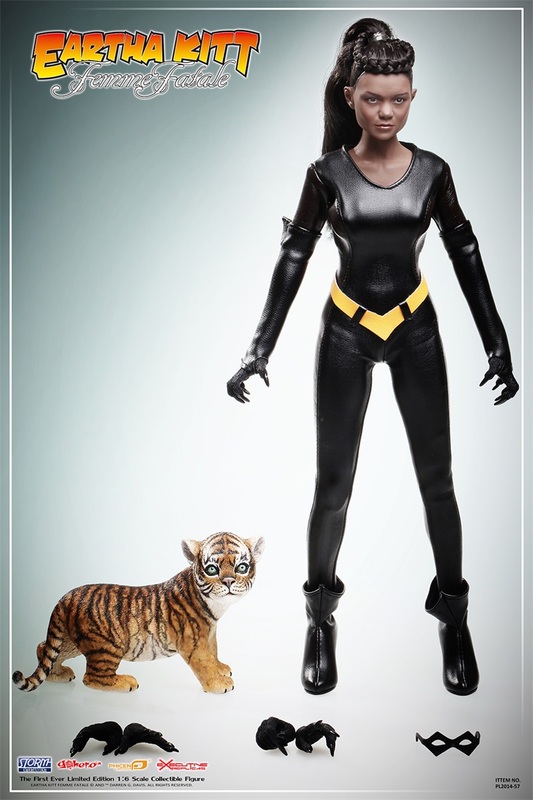 Add to this a brand new 14″ line with DC hero action figures for Wonder Woman, Batman and Superman and Mego Corp are well and truly back in the market leaving fans of classic pop culture wanting more! With the Target/Mego deal ending this year, it allows for Mego Corporation to begin looking for worldwide distributors with Mego confirming that they are in fact hammering out a deal with an Australian distributor meaning we will finally see Mego in Australia in 2019. 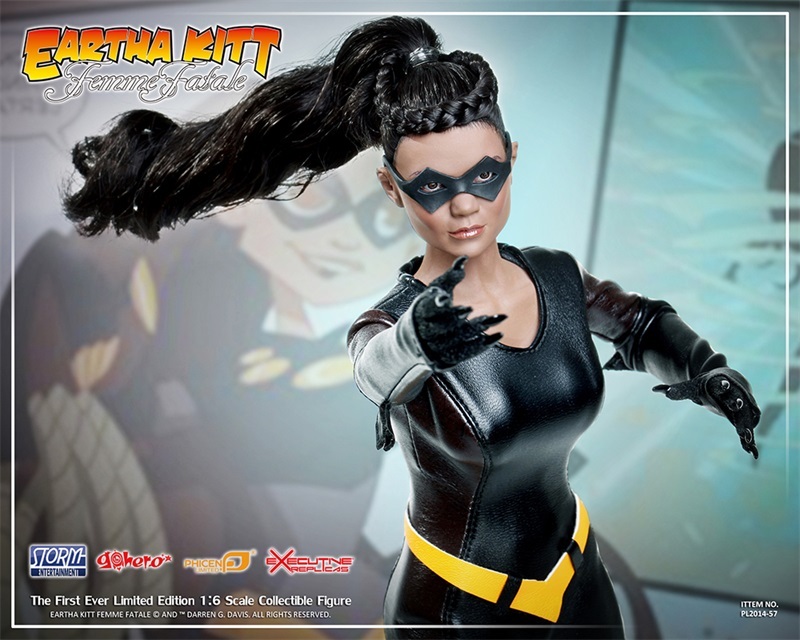 Their recently announced fourth wave of figures includes an 8″ ‘legends’ series that sees Muhammad Ali, Farrah Fawcett and Marilyn Monroe (among others) immortalized in plastic along with a retooling of their 14″ DC superheroes which will see Wonder Woman and Batman in alternate costumes. There’s no official word of yet as to whom will be stocking Mego, when we will see them or the price point but watch this space as Mego hinted at a huge announcement coming Wednesday (Thursday our time) that may reveal more. Watch this space! Silver screen icons most known for playing classic Batman foes Julie Newmar and Eartha Kitt are latest two classic screen ladies being replicated into 1/6 scale figures thanks to the teaming up of Phicen and Executive Replicas – the same team up that brought Caroline Munro and multiple other screen icons into the same scale. Dressed as their iconic Catwoman alter-egos, Newmar played the cat loving villain from 1966 to 1967 (seasons one and two) while Kitt took over the role from 67’to 68′ (season three). Both figures stand 12″ tall and feature (semi) detailed head sculpts along with Phicen’s well known seamless bodies, though, for some unknown reason, are not using the sturdy standard stainless steel skeleton with Phicen instead opting to use their inferior plastic skeleton. 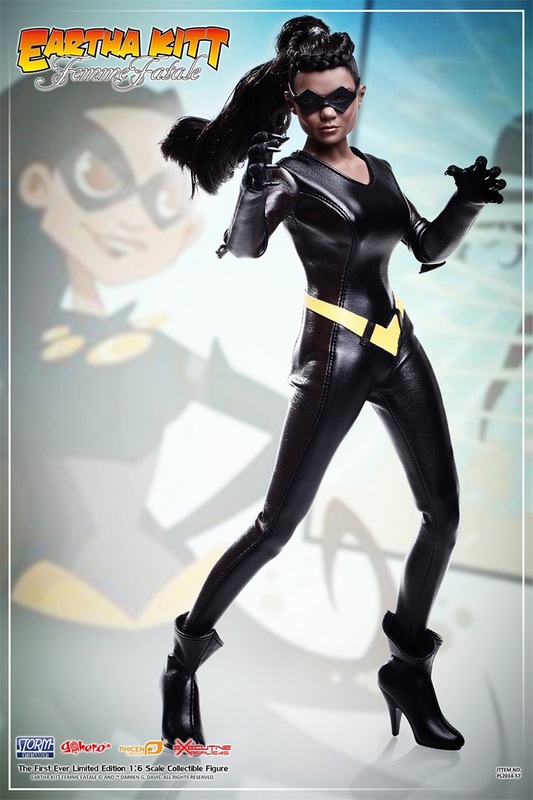 Also to note is the missing of Newmar’s catwoman ‘cat ears’ headpiece which Phicen are not planning to include. Both figures are set to retail for US$150 with a Q4 2016 release date with most 1/6 retailers already offering up pre-orders. Warner Brothers have just revealed the first of their big guns they plan on bringing to this years San Diego Comic Con in the form of merchandise for the up-coming Batman Vs Superman: Dawn of Justice movie. First there was the Lego Batmobile, then a diecast Hot wheels Batmobile with rubber tyres and now, we’re being treated to some pretty awesome looking figures. Wonder Woman in 12″ form. A 6″ Superman and Batman double pack that feature both figures with likeness of Henry Cavil (Superman) and Batman (Ben Afleck), fabric capes and matching bases that when joined, form the movies logo will be available to SDCC goers with a retail price of $30 plus a Wonder Woman Barbie that sadly won’t be available for purchase (but will be on show) until next year with the movie’s release. The Wonder Woman doll features a brand new face sculpt, rooted hair, jointed body and outfit that resembles the one that will be featured in the upcoming Dawn of Justice movie. San Diego Comic Con runs from July 8 through 12. 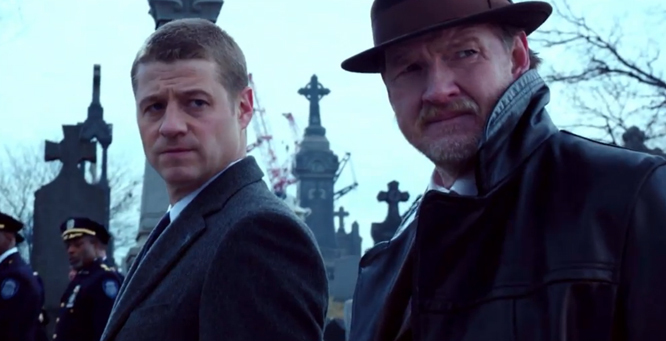 Not only have FOX announced a 13 episode order of their new Batman prequel series Gotham, they also today, released a new sneak peek trailer for the upcoming series. Gotham is a prequel series to the Batman story and will tell the origin of James Gordon (Benjamin McKenzie) as he works his way up to the role commissioner of Gotham City and will introduce us to well-known and popular villains early in their evil careers. Penguin, Catwoman, Riddler, and Poison Ivy are all set to be featured. 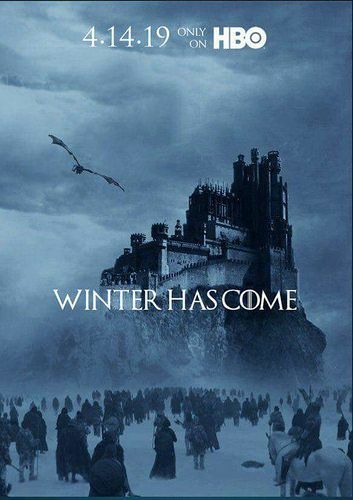 Along with Benjamin McKenzie, Camren Bicondova will play a young Selina Kyle, David Mazouz, a young Bruce Wayne, Donal Logue as Detective Harvey Bullock, Zabryna Guevara as Captain Essen, Sean Pertwee as Alfred Pennyworth, Robin Lord Taylor as Oswald Cobblepot aka The Penguin and Jada Pinkett Smith as Fish Mooney. 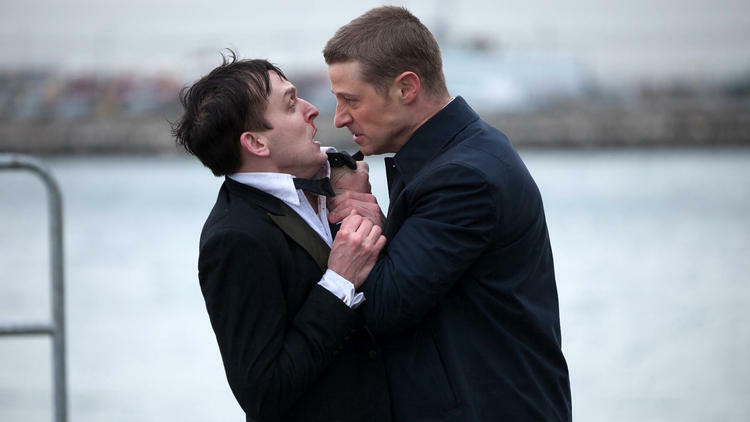 Gotham is set to premier in the fall for US viewers. Warner Bros TV have officially released the first two character portraits from FOX’s Batman prequel series Gotham. Gotham will follow a young Commissioner James Gordon (Ben McKenzie) and his mentor Harvey Bullock (Donal Logue) as they tackle crime within the city of Gotham. 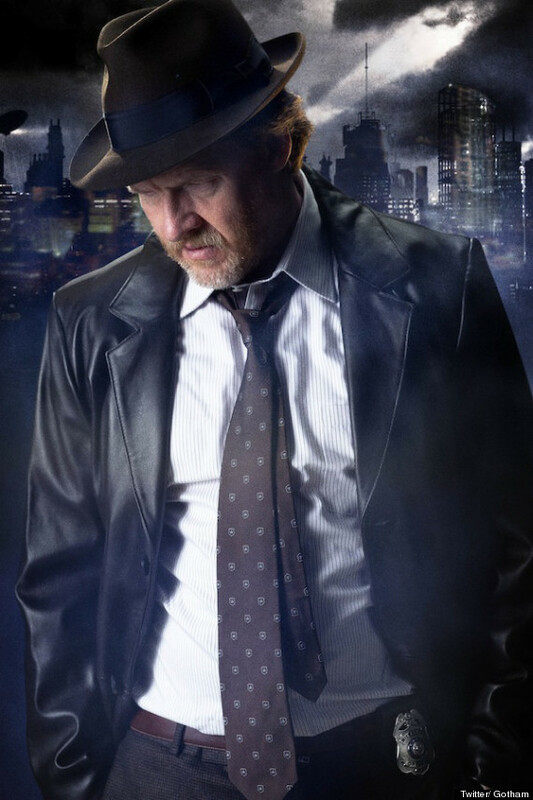 The first character portrait to be released is that of Logue’s Harvey Bullock, leather trench coat, badge and all. 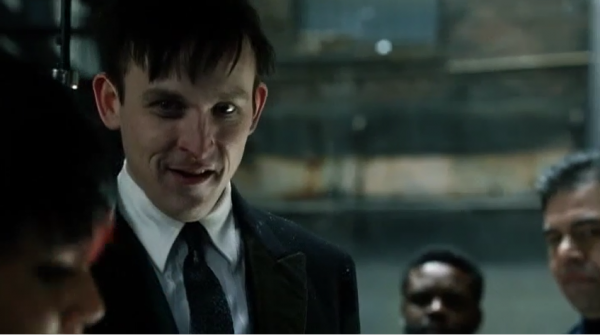 The cast also includes Jada Pinkett Smith as Fish Mooney and Robin Lord Taylor as Oswald Cobblepot (the Penguin). More details are starting to emerge about FOX’s new Batman prequel series titled “Gotham” which centers around Gotham City Police Commissioner, Detective James ‘Jim’ Gordon (Ben McKenzie – The O.C) and his efforts to fight crime in city of ambitious and creative criminals. While FOX have been clear to note that Gotham is not a prequel to the Batman character, they have announced that David Mazouz (Touch), has been cast as a series regular to play a young Bruce Wayne. It’s been revealed that when Bruce’s story begins on Gotham, his parents have been murdered he’s relying on help from Alfred Pennyworth and Commissioner Gordon. 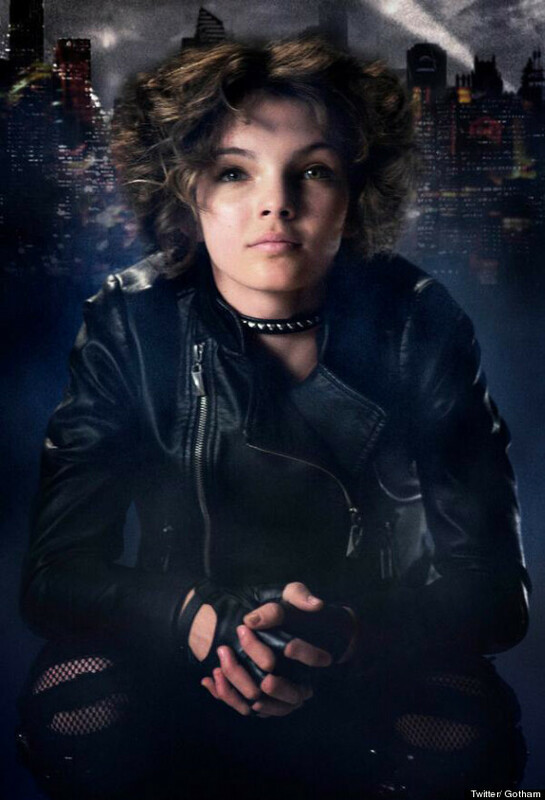 Along with the casting of a young Bruce Wayne, newcomer Camren Bicondova has been cast to play a young Selina Kyle who eventually takes on the persona of Catwoman. Joining Ben McKenzie, Camren Bicondova and David Mazouz is Sean Pertwee as Alfred Pennyworth, Robin Lord Taylor as Oswald Cobblepot aka The Penguin, and Jada Pinkett Smith as Fish Mooney. 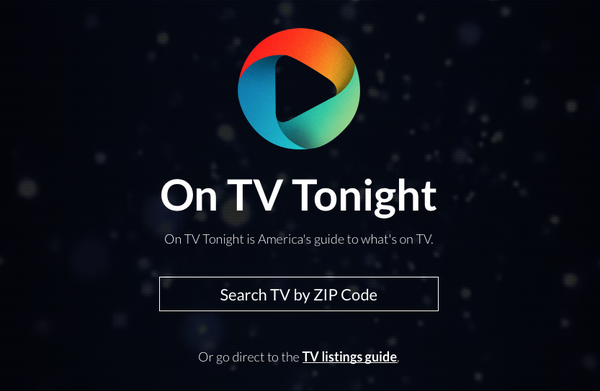 Each episode will be one hour, and the pilot will be written and produced by Bruno Heller, a British screenwriter best known for co-creating the HBO-BBC produced drama “Rome,” which explored Ancient Rome’s reign under Julius Caesar and Emperor Augustus. 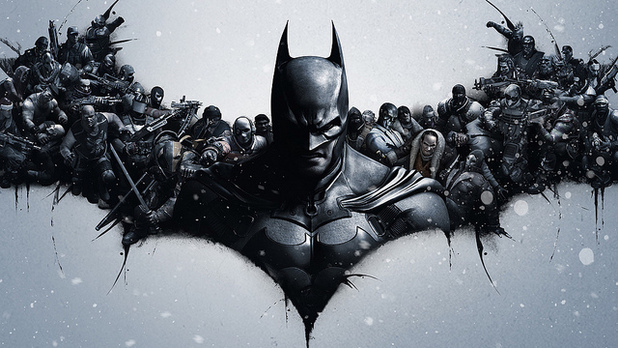 Gotham has been given a series order by FOX and is set to premiere in the fall.